Attention Investors "Prevent Unauthorised transactions in your account –> Update your mobile number / email ID with your stock brokers. Receive information of your transactions directly from Exchange on your mobile / email at the end of the day ......Issued in the interest of Investors"
As per Prevention of Money Laundering Act (PMLA) Rules, 2017, Financial Institutions like Stock Brokers are mandated to obtain Aadhaar Number from all their investors (new and existing) and link the same to the respective accounts for all the holders. We advise you to submit your AADHAAR details in compliance of PMLA Rules. 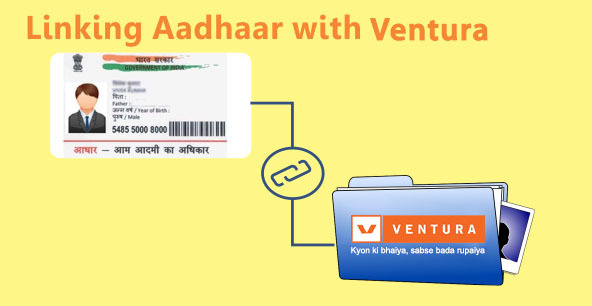 For any queries, write us to aadhaarlink@ventura1.com & we would be happy to assist you.